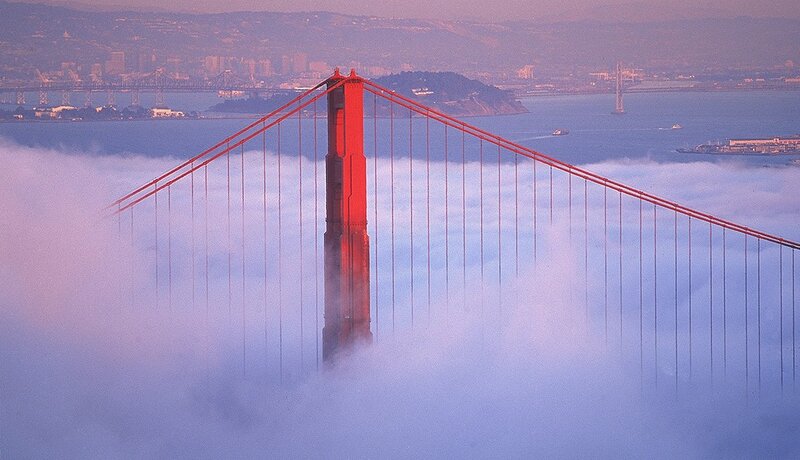 San Francisco’s most famous landmark is the Golden Gate Bridge. This magnificent suspension bridge, painted orange to protect it from rust, spans 4,200 feet and crosses the link between San Francisco Bay and the Pacific Ocean. 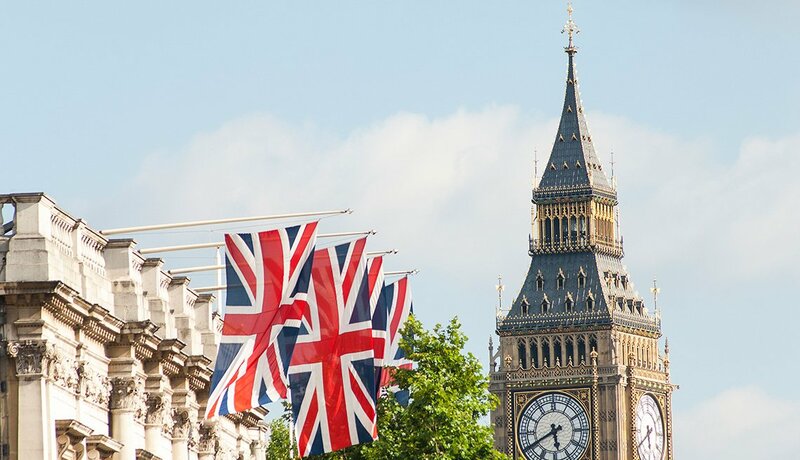 You can enjoy dramatic views from several locations throughout the city. Pedestrians are allowed to access the east sidewalk of the bridge, or you can rent bikes or take a bus tour that stops on both sides of the bridge and allows you to walk out on the toll plaza. The span has been called one of the seven wonders of the modern world, is the tallest bridge in the United States at 746 feet, carries about 3 million vehicles a month and is the No. 1 attraction on every San Francisco sightseeing list. This 1,017-acre public park is rectangular in shape, like New York City’s Central Park, but is more than 20 percent larger. It’s a stunningly beautiful area for walking, biking, Segway touring and strolling the beach with your grandkids. 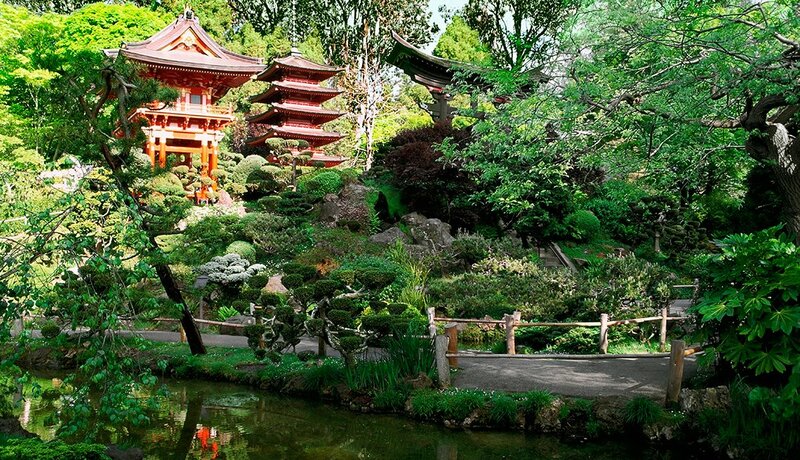 It also houses the Japanese Tea Garden, botanical gardens, the de Young Museum, windmills, the Steinhart Aquarium, a carousel, a playground and, just a block away, several restaurants where you can enjoy the local cuisine. There is also Presidio National Park, offering hiking, biking and activities for kids. Alcatraz once housed the most notorious criminals in America. 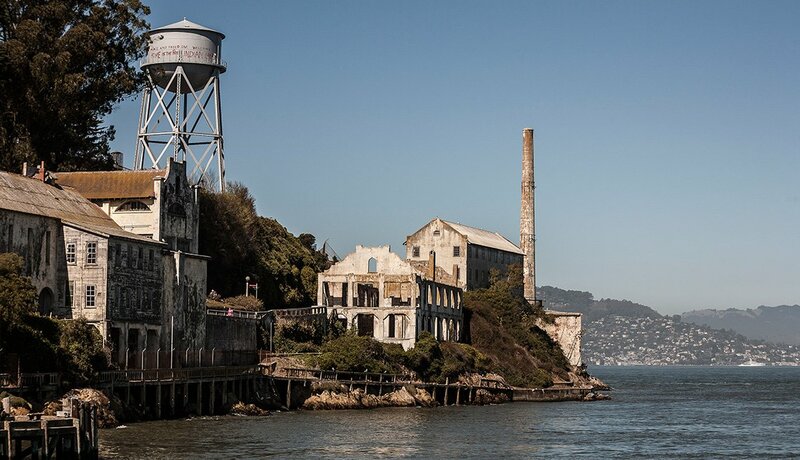 This federal penitentiary, sitting on an island in San Francisco Bay, was in full operation between 1934 and 1963 and garnered the nickname ‘The Rock.’ Legendary prisoners Al ‘Scarface’ Capone and ‘Birdman’ Robert Stroud were just two of the notorious inmates. Tours of the facility give visitors insights into the 19th-century surroundings, subterranean rooms, cannons and Civil War era architecture. 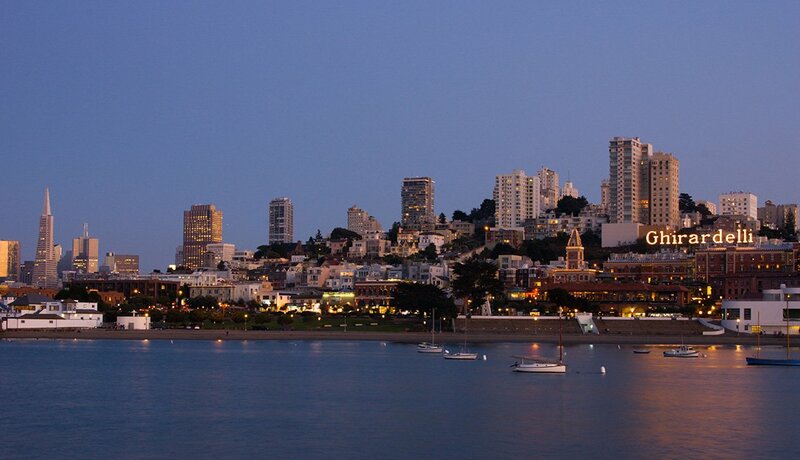 One of San Francisco’s busiest tourist attractions is Fisherman’s Wharf. The wharf offers historic-ship tours, a throng of souvenir shops and a string of restaurants serving steaming crabs, clam chowder and sourdough bread bowls. 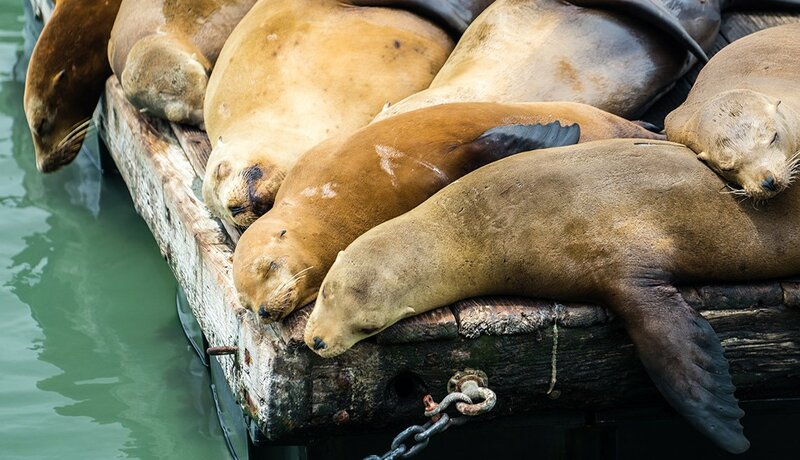 There are also colonies of sea lions on display and picturesque views of the bay, the Golden Gate Bridge and Alcatraz. The world’s last manually operated system, San Francisco’s cable cars are one of the city's icons, carrying approximately 7 million passengers annually and listed on the National Register of Historic Places. A system of 23 lines was established between 1873 and 1890, but only three lines remain. 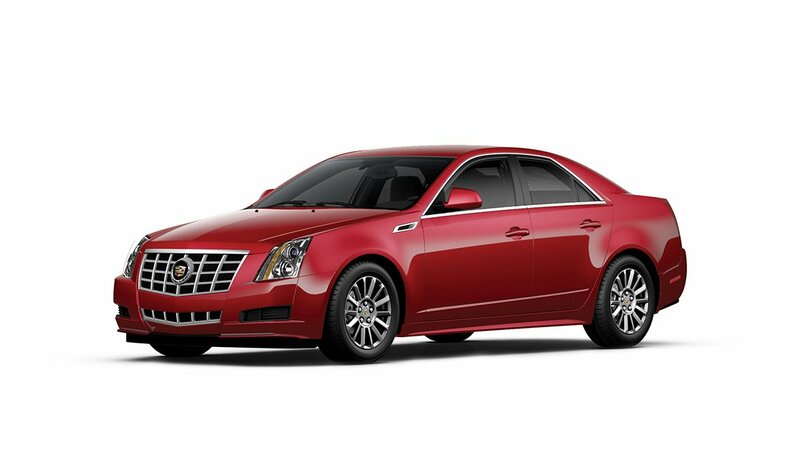 Make sure you take a ride from downtown to Fisherman’s Wharf. 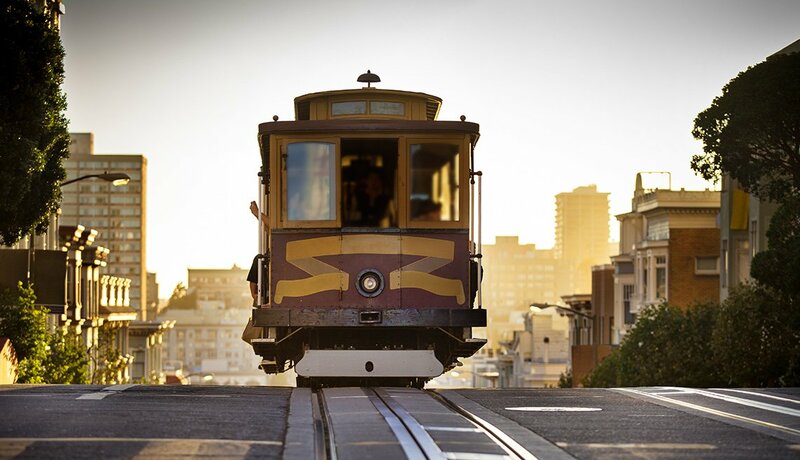 You can also take the Powell-Hyde and Powell-Mason lines to the Cable Car Museum to explore the history of cable cars first-hand in the Nob Hill neighborhood. 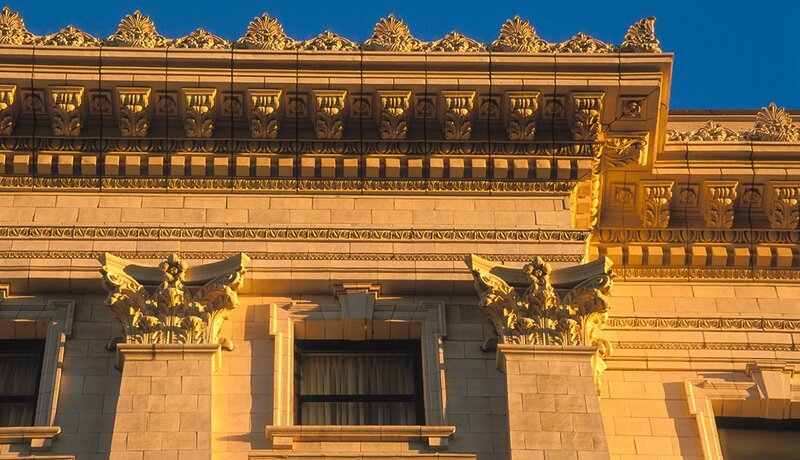 This historic AAA Four-Diamond luxury hotel sits at the top of Nob Hill on Mason Street. The world-renowned Fairmont has 606 rooms and is listed on the U.S. National Register of Historic Places. 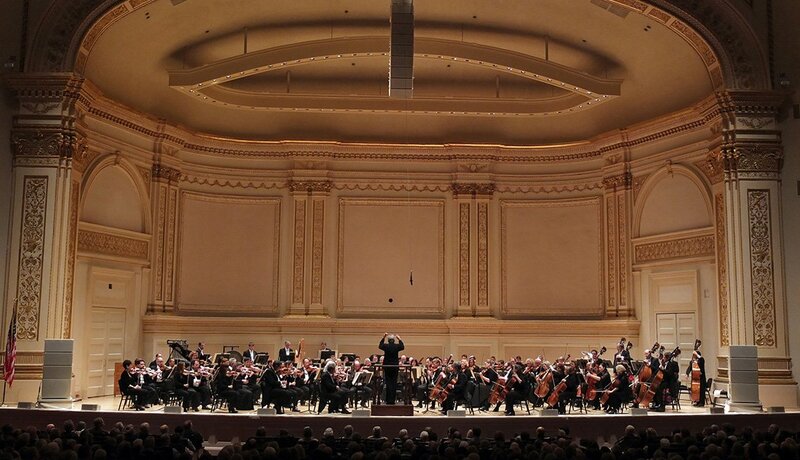 After struggling through years of delays, the iconic hotel opened its doors in 1907. It boasts panoramic views of the city and the bay, and has been featured in several films, including The Rock. A landmark public square, Ghirardelli Square has three levels of shops and restaurants with five-star luxury hotels nearby. Originally a chocolate factory built by Domenico “Domingo” Ghirardelli in 1852, the factory was transformed to accommodate unique shops, fine dining and the latest in retail in 1964 and still features the famous Ghirardelli Chocolate Store. San Francisco is home to many diverse music venues and an amazing nightlife. Jazz lovers have the SFJAZZ Center, the first performing arts center in the country completely dedicated to jazz. It also houses the B-Side, a full service restaurant, bar and lounge. You can dance and dine at the Hotel Utah Saloon to country music while feasting on comfort food, or find food, drink and merriment at the Twin Peaks Tavern, a gay bar since 1972 given landmark status by the city. Rebuilt in 1965, this magnificent structure inspired by Roman and Greek architecture features a lagoon, walkways and grand archways. 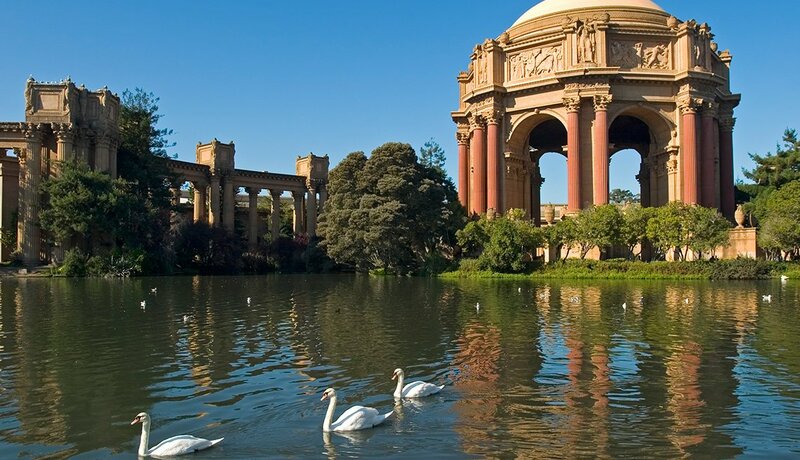 Along with hosting art exhibitions, the Palace of Fine Arts is an extremely popular tourist attraction that also hosts weddings and wedding party photography sessions. 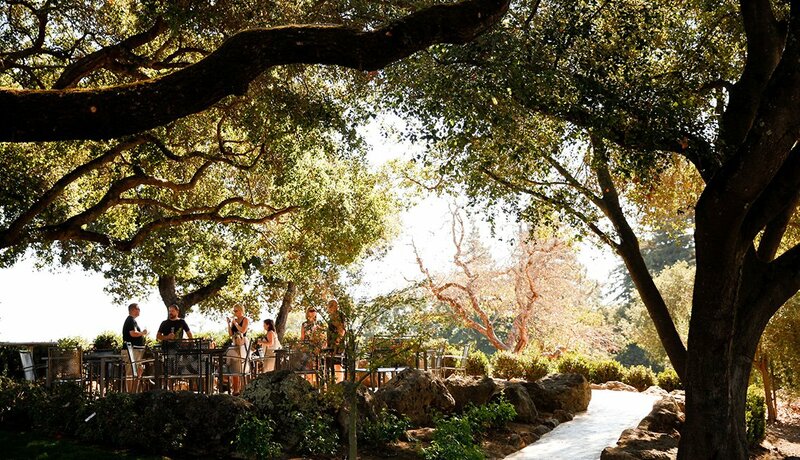 There are several wine-tasting tours to choose from in San Francisco’s Napa Valley and Sonoma Wine Country. Luxury coaches, limousines or even a party bus whisk you away on picturesque tours of vineyards. You can also take it all in by gazing out the window of a helicopter tour with spectacular aerial views of San Francisco Bay, the Golden Gate Bridge and Napa Valley.